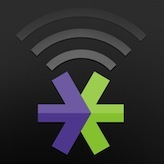 ETrade provides a great mobile app experience on iPhone, iPad, Android, Windows Phone, and Blackberry. I think it’s almost expected that the feature-set provided by the dedicated native mobile applications are not quite the same. The Windows version and especially the one for Blackberry fall far behind what ETrade has to offer on Android and iOS. For instance, in April 2012, Speech Recognition was first added to their iPhone (not iPad) mobile application and later to the Android app as well; allowing the user to request stock quotes, options chains, company information, or to launch the stock order, just by using voice. 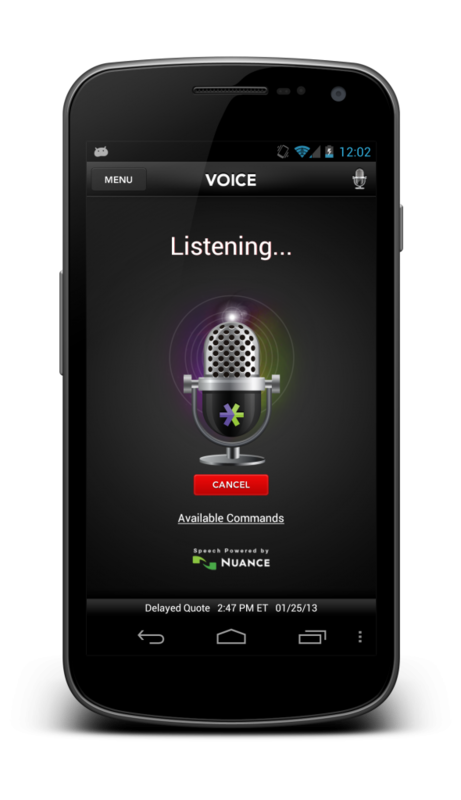 ETrade uses speech recognition and speech synthesis software provided by Nuance Communications, Inc. The application is feature-packed, comes as an 11 MB download, and is not, what you would call a thin client. Only a very few of those features however, are accessible through Voice Commands. “Open the dashboard” or “Show me the dashboard”, or “Can I see the dashboard”, is understood and does open the application’s dashboard view. However, the monotone voice and demeanor of the bot suggests some kind of bitterness, more than even Apple’s Siri does. This of course is hight subjective. Once the microphone button is pressed, a voice prompt is played “How can I help you?” and the application goes into listening mode. It will keep listing until a drop in amplitude is recognized. I.e., if I didn’t say anything, it kept listening, probably until the phone runs out of battery. The recognition of an input like “Please give me the stock price on Apple” creates a spoken output like “Price 439.88 Change Percent Minus 2.36 Percent”. The time between the end of the request and the beginning of the response is a little over 5 seconds. However, the voice prompt “One moment please” and the fact that the app shows a view with the requested quote, even before it starts playing the synthesized response, are clever tricks to obscure the relative long delay. Since the application doesn’t seem to include the standard Nuance Voice Kit, I am assuming the sound file is not streamed during the recording (the forever listing behavior would be another indication), but rather encoded and sent via HTTP POST once the recording has stopped. The response is synthesized by a Web-service, instead of on the mobile device itself. While this has the advantage that no high quality voice synthesizer needs to be deployed with the app, the pre-recorded and included voice prompts sound differently, in quality and also noticeably in loudness. ETrade has done a great first step, voice-enabling their mobile application. It’s better than Google’s Voice Commands, since it’s much less rigid. And while voice and demeanor remind us of Siri, it’s good to see trailblazers like Etrade pioneering Voice User Interfaces on mobile.